I’m back! One of the reasons for my absence was another trip to Moloka’i. A favorite place to visit and photograph, and it gets harder to leave every time I go. 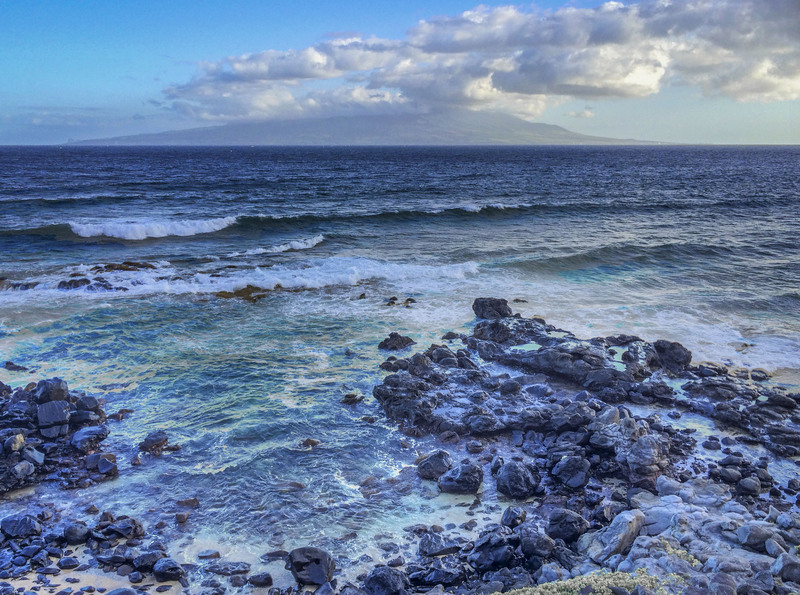 This image was taken on the east side of the island, looking across the sea to Maui in the distance. My trip was in early December, so I missed all the fabulous surf the islands experienced this month. But then I also missed the huge crowds that flocked to the North Shore of O’ahu to watch the waves and those who ride them. That’s a big part of why I love Moloka’i. There are no crowds. And there are plenty of views like this to feast your eyes on.